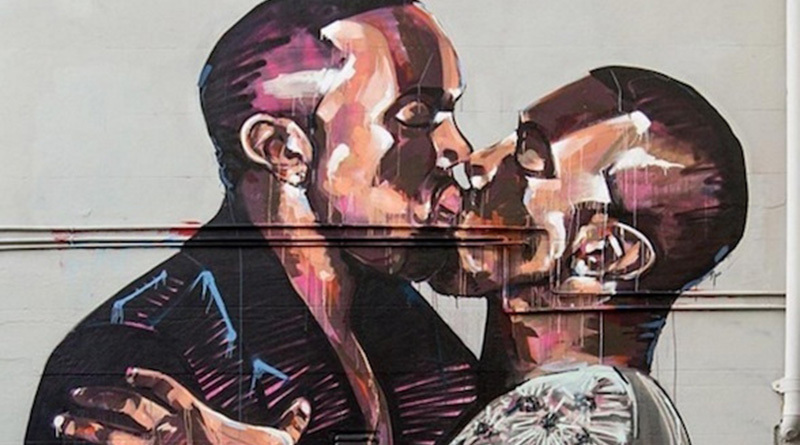 Sydney street artist Scott Marsh experienced unexpected viral fame earlier this month when his mural of Kanye West making out with himself hit Reddit. The delicate and sensual portrait is painted on the wall of a wine and cheese shop in the quiet northwest suburb of Chippendale, and takes inspiration from a beloved 2015 meme. Some of the hate mail claimed to come from the management of Mr. West himself. 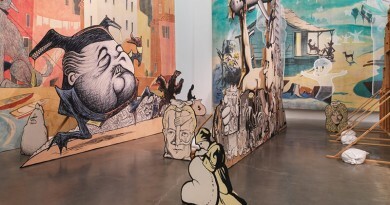 “I got an email the day after a picture of the mural went up on Reddit, from someone claiming to be his management offering me money to paint over it,” he said.